The Poker Players Alliance (PPA) wants nothing to do with a recent amendment to California online poker bill AB 2863. The readjusted proposal would ban any poker site that operated in the United States while it was illegal for the first five years. That, of course, would mean PokerStars wouldn’t be able to join the party since it was a major player in the pre-Black Friday era in America. The last-minute amendment was made in order to give the bill a better chance to pass through the state’s Assembly at a potential Monday vote. But the amendment has some strong opposition, including the PPA. In a Thursday press release, the PPA urged lawmakers to reject these amendments. The organization said the restrictions would leave players dissatisfied and make AB 2863 less likely to pass. “We are deeply disappointed that Chairman Adam Gray has chosen to play politics at the behest of special interests. 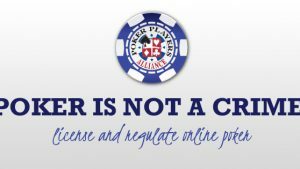 The proposed amendments threaten to doom the iPoker legislation for which we and our members have advocated for years,” John Pappas, executive director of the PPA, said. 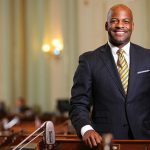 “Since the Internet poker debate began in California nearly ten years ago, PPA has been the only consistent voice urging lawmakers to license and regulate Internet poker. 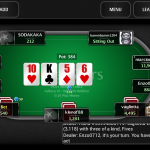 The amendment, at first glance, would ban sites such as PokerStars for the first five years. But, according to the PPA, a closer look indicates it would actually be a lifetime ban. 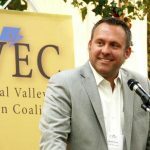 The organization also stated that the amendments will force poker players in California to wait even longer to play online due to the small chance the bill passes. This argument contradicts what Adam Gray’s chief of staff, Trent Hager, told the Los Angeles Times recently. The original bill has faced some stiff competition from powerful American Indian tribes that don’t want PokerStars to operate in California. These tribes are now less likely to support an online poker bill that excludes PokerStars. But that doesn’t mean Hager is correct in his assumption. Amaya Inc., PokerStars’ parent company, has some powerful partners in the Golden state, including Commerce Casino. Needless to say, passing this bill has become a battle of which side can be the most persuasive. In March, PokerStars reentered the US market for the first time since Black Friday in April 2011, but only in New Jersey. The biggest online poker brand would love to operate in California, the largest state in the country. But, due to stiff political opposition, that isn’t likely to happen any time soon. Poker is not a crime. No it isn’t nor should it be. But thanks to actions made by some sites I wont name any. They are now black balled from entering California and many states for a reason. They were operating before illegally. Now all of a sudden they want to push for regulation etc etc and they have changed . I say hogwash. Theres sites who don’t ask for a players proof of address or government identification to confirm they say who they really are to ensure no underage kids play and that that money deposited has a paper trail to their name. Poker Stars didn’t care to do this when they first started back in 2001. Also they didn’t care to have limits for problem gamblers. They couldn’t even freeze a persons account if the player asked. Impossible to get your money from there. Now all of a sudden they wanna do a about face and say , see we are really good boys we changed. We care we want to protect the player. LOL…such crap. California and Adam Gray I applaud you. I love the game but theres a better way in my opinion which I am allowed to have. Can Australias travel to New Zealand say for a week and play poker on pokerstars? ?